There’s been a lot of talk lately about net metering. 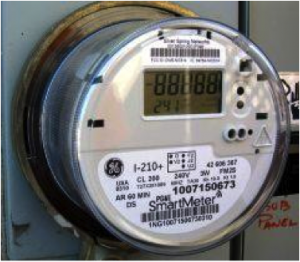 What’s so special about net metering, and why all the fuss? Net metering is a simple concept that’s policy in 43 states. It’s like rollover minutes on a cell phone bill -- it lets utility customers who install solar systems feed energy they generate into the grid if they don’t need it at the time they’re generating it. They get the fun of watching their meter run backwards, and they get a credit on their power bill for that excess energy, which they can use when the sun goes down. The question, though, is what constitutes fair credit, and whether net metering customers are passing on to other customers an unfair burden of transmission and distribution charges. As you can imagine, perspectives on this issue vary. Some are predictable, others not so much. Let’s start with utilities, who are on the predictable end of the spectrum. After all, when utility customers generate their own power, those customers end up paying a lot less to the utility. And utilities are set up to make substantial profits from large infrastructure investments. Net metering poses a threat to that business model.